and comfort, strength and stillness, steadiness and joy. Yoga props can profoundly improve your practice. Instructors often incorporate the use of blocks, bolsters, blankets, and straps to help to make postures more accessible, stable, aligned, safe, and comfortable. 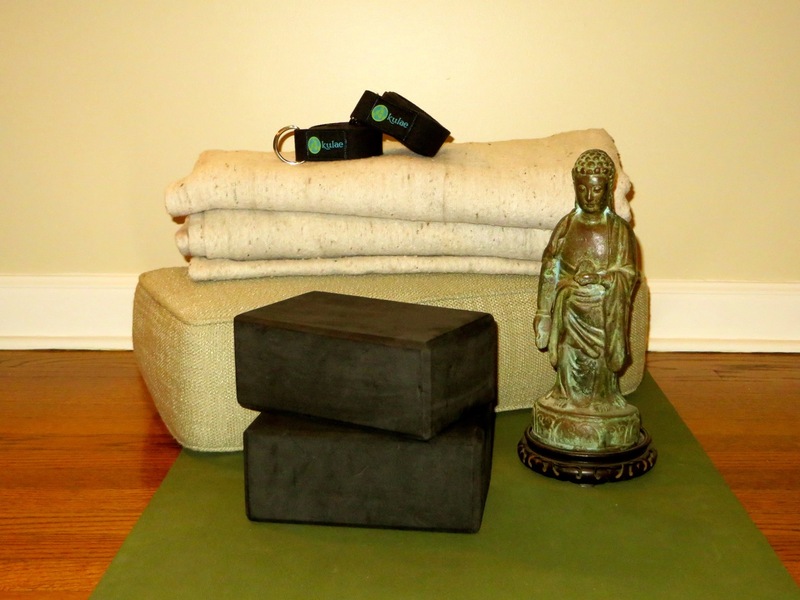 By providing support, these props enable you to focus on relaxing both the body and the mind. This guide can help you become more familiar with the uses and benefits of yoga props, and enhance your practice. Blocks are used to open up space, allowing you to go deeper and to stay in postures longer. Using blocks can improve alignment, which brings an ease to many of the postures. These props are especially helpful if you have very tight hamstring muscles during poses such as Uttansana (Standing Forward Fold), Adho Mukha Svanasana (Downward Facing Dog), Trikonasana (Triangle), Parsvottanasana (Pyramid), and Ardha Chandrasana (Half Moon). With a brick-like design, blocks can be used at three levels, offering varying degrees of support. Sitting with a block between the feet in Virasana (Hero) can make the pose safer and more comfortable by eliminating knee strain. Sitting up on a block in seated positions such as Sukhasana (Easy Pose) is a terrific modification if you have tight hamstrings and/or hip flexors (quads). The tighter the muscles are, especially the hips, the more height helps. As your practice progresses, your muscles will begin to lengthen and blocks can then either be lowered or perhaps may no longer be needed. Both of these props are utilized to cushion or elevate various body parts for comfort and relaxation. Just like with blocks, they can be used in seated postures such as Sukhasana if your knees are higher than your hips or your low back is tight while legs are crossed. If your hamstrings are very tight, sitting up on the edge of a folded blanket is especially important in seated forward folds (Paschimottanasana/Upavistha Konasana/Janu Sirsasana) to bring the pelvis to a neutral position and protect the low back. Bolsters, which look like cylindrical or rectangular cushions, can be used to help recline in poses such as Supta Virasana (Reclining Hero Pose). Using these props under the hips in Legs up the Wall (Viparita Karani) or under the knees in Savasana softens and relieves tension leading to a more restful pose. Straps are a fabulous tool to stretch and open areas in the body, including the hamstrings, shoulders, and side bodies. In either Reclining Head to Big Toe Pose (Supta Padangusthasana) or Standing Extended Head to Toe Pose (Utthita Hasta Padangusthasana), straps can safely increase flexibility and provide stability. They bridge the gap between the hands in binding postures like Bound Extended Side Angle Pose (Utthita Parsvakonasana) and create a bigger stretch in the upper back in Natarajasana (King Dancer). Straps can be used between the hands when the arms are extended to take standing side bends, or behind the back for shoulder openers. These props can also be looped and used in many ways to strap arms, legs, and feet together and create stability, teach alignment, or maintain key actions or elements of poses. Megan Miller is 200 RYT in both Forrest Yoga and Anusara Yoga (through Kathy Simonik and Pulsation Yoga). She is currently completing a 500 RYT Advanced Teacher’s Training at Prairie Yoga, which is influenced by the teachings of Iyengar Yoga. Practice with Megan during her classes on Monday and Friday in the Arlington Heights studio. 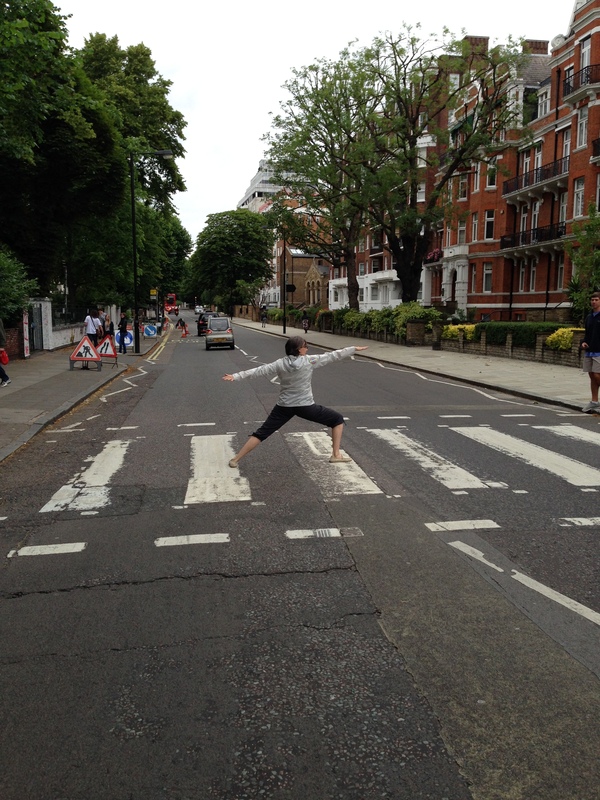 Ross Rayburn travels the world teaching yoga. He will be at Pulsation Yoga April 17-18 leading three workshops that focus on hip openers, hand balancing, and forward bends and twists. Get all the details here, and call 847-989-7792 to reserve a spot. I started doing yoga because of a knee injury. I’ve been influenced by so many teachers from just about every style of yoga out there. How has yoga helped you to be a better person? It has helped to to have a softer heart, sharper mind. and to feel more alive. What is your personal mission statement as a yoga teacher? Always be in service of the students. What do you think constitutes an excellent yoga instructor? Remember to be a student first and always. What was your most challenging teaching experience? Teaching 600 students at a conference in Seoul Korea, five hours after landing from New York. What do you recommend to the beginner student? To the seasoned student? Do your best and do your best. How do you take your yoga off the mat? With self-forgiveness…because I often forget to. What is the one pose you are most proud of getting into? The first time I did Bakasana without cheating (which took me 10 years!). What is your favorite time of day to practice yoga? It completely depends; it changes all the time. Where is the best place you have ever practiced yoga? Can’t pick … there have just been too many. But in the top five, three are beach locations (love the beach!). What is your favorite music to listen to while practicing yoga? What else do you want students to know about you? That I’m actually funny sometimes (all evidence to the contrary). What is the best part of traveling to different studios and leading workshops? Again, easy…I love people, especially meeting people who are interested in the work it takes to grow and thrive. Marian Kraus is hosting a gong sound healing workshop Feb. 21 from 4 p.m. to 5:30 p.m. at the Lake Zurich studio. Check out all the details here and join us for an evening of relaxation. How did you become interested in playing the gong? 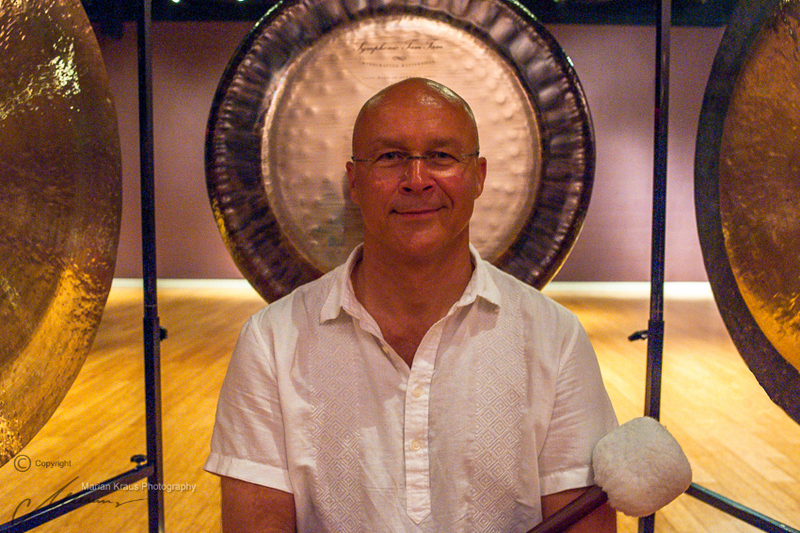 Having been a hand drummer for the past 38 years and a full-time photographer for 15 years, the gong found me and captivated me from the very first moment I heard the plethora of tones being generated by it. It was during a photo assignment for a client of mine that I was introduced to the gong, and I have been fascinated with its power ever since. It is a natural extension of my path and I now create pictures also with sound. How has gong sound meditation benefited your life? Gongs have been used for close to 4,000 years throughout history in different cultures as psycho-acoustic gateways to heightened states of awareness. So when skillfully played, a gong meditation has the potential to raises one’s aware consciousness. And from that point, there is no limit to one’s potential for personal transformation. So essentially, it has assisted me to continue “peeling the onion” of various layers that make me “me.” Gong sound is one of the keys or vehicles to uncovering, discovering, and discarding one layer after the other of learned behaviors, thinking modalities, accumulated patterns, etc… It has proven to be a very powerful and potent holistic approach to self-transformation and healing for me. What can people expect at the workshop? I will be playing three large gongs (each 32-40 inches in diameter), seven Himalayan singing bowls from Nepal, four Burmese whirling gongs, a harmonic set of tuning forks, and an ocean drum. People typically lie down in one spot and relax, let go of all that pulls on them, and travel to different realms that they typically may not be able to access as rapidly as on the waves of sound. Participants will learn what they are meant to connect with. Transformation and healing occurs on the inside and in many ways. We all have the power residing within us. Everything, however, begins with and rests on awareness…Come check it out and have no expectations. Also, wear comfortable clothing and be open to the experience! Pulsation Yoga celebrated the grand opening of the Lake Zurich studio on Feb. 7 with a free yoga class, ribbon cutting, and party co-sponsored by Lululemon. The evening was a great success, and thank you to all who came out! 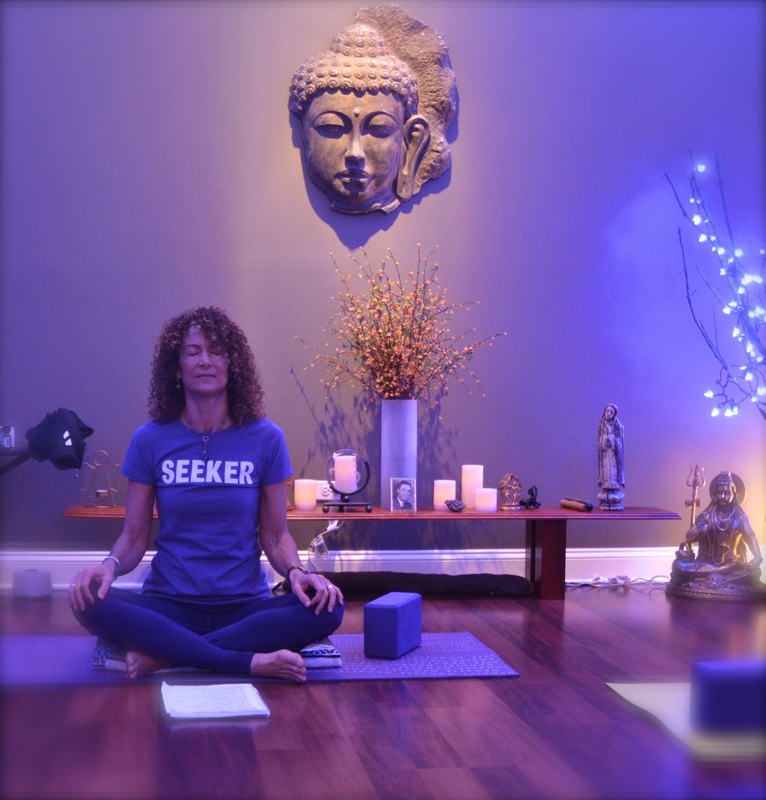 Desiree Rumbaugh recently spent a weekend at Pulsation Yoga, leading four workshops on hip openers, backbends, arm balances, and therapeutic poses for the neck and shoulders. Desiree is an internationally recognized yoga instructor, and it was wonderful to have her share her extensive knowledge and to help students strengthen their yoga practice. Check out some pictures from our weekend! Benefits: Stretches the hips and shoulders; lengthens the spine; stimulates digestion and circulation; and strengthens the thighs, knees, and ankles. 1. Begin in Tadasana pose (feet shoulder-width apart, arms by your side). Step your feet wide apart, inhale, and extend your arms. 2. Turn your right leg out directly to the side. Turn your left foot in slightly and align your right heel with the arch of your left foot. 3. Exhale and bend your right knee to 90 degrees. Hold for several breaths. Pull your legs toward each other to engage the muscles, inhale, and rise up out of the pose. Repeat on the other side. Dr. Shaofen Ai is a chiropractor and licensed acupuncturist. On Jan. 17 from 1-3 p.m., she is leading a workshop at the Arlington Heights studio, where participants will learn the basics and techniques of acupressure, a self-healing method that applies finger pressure to specific areas on the body. The cost is $35; please call 847-989-7792 to register. Below is an exclusive interview with Dr. Ai. Acupressure is an ancient Chinese healing method. You apply manual pressure, usually with a finger, to specific points or areas of the body. Acupressure does not use needles (that is called acupuncture) to relieve the discomfort, to balance the energy flow in the body, and to enhance and maintain the well-being. It is easy to learn, effective, no side-effects, and cost-free. How did you become interested in Acupressure? I grew up in a traditional Chinese medicine family in China. I became a doctor in my native land. Later, I came to the U.S. and received a Doctor of Chiropractic degree. I combine Eastern and Western healing methods in helping others to heal. My journey of personal growth has deepened my understanding and appreciation to the profound truth and the beauty of simplicity that we all inherited with the innate gift of self-healing. Can people perform acupressure on themselves? Yes. It is a self-healing method, and can be performed on yourself or on others. What can people expect during the workshop? In this workshop, people will learn about the bio clock, or the body meridian clock, and how to utilize the body meridian clock to help and enhance your health and well-being. We also will review the acupuncture meridian system, which is the energy system that acupressure or acupuncture is based on. This is a hands-on workshop. We will have demonstrations and practice time to locate and find the acupressure points on the body, and to correctly apply pressure on the points. There will be time for Q&A in workshop; It will come naturally with the energy flow. Please wear comfortable clothes. Come to the workshop with the openness to expand your perception and perspective, to learn, and to experience the wonder of our innate gift of self-healing.